Answer this question: Does your garage door meet the building codes for your county? Like seatbelts in the 1960's and 1970's, it's difficult to get people to take advantage of an inexpensive way to make their family and themselves safer. Florida set up the guidelines, following Andrew to do just that. For many, however, confusion has come out of the new building codes and people are not sure what to do to protect themselves. 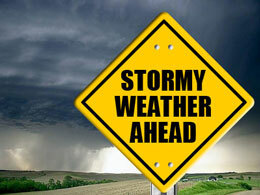 For this reason, we set up a garage door hurricane inspection program. The program allows residents in areas vulnerable to hurricanes to have their garage door inspected to make sure it meets the building code for their area. If it does not, our inspector will tell you the wind load and small missile impact resistance you need to meet the building code depending on where you live. Contact Precision Door Service to schedule a time for your free inspection. This program is set up as public service. Taking advantage of this program is 100% free and 100% no obligation. 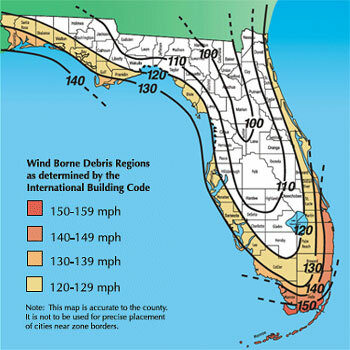 80% of residential hurricane wind damage starts with wind entry through the garage door. Please call Precision Door Service to receive your free hurricane garage door evaluation - A professional technician will visit your house, inspect your garage door and let you know whether your door is hurricane ready. For homes that need doors to be upgraded to Hurricane Garage Doors, we would like the opportunity to give you a free estimate on the upgrade but it is not necessary. This program was designed as a public service by Precision Door and its franchises. We hope you take advantage of this offer.